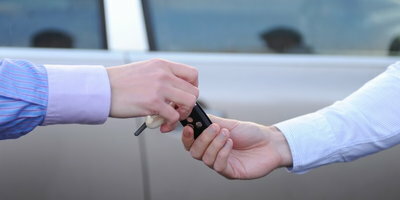 Traditionally, leasing a car has not been considered a good option for drivers with bad credit. This is mainly because it can be very difficult to get approved for a lease with less than perfect credit. And if someone with a lower credit score is able to get a lease, it may be much more expensive than it would be for a driver with good credit. However, captive lenders such as Kia Motors Finance are making it possible for more consumers with bad credit to lease vehicles. 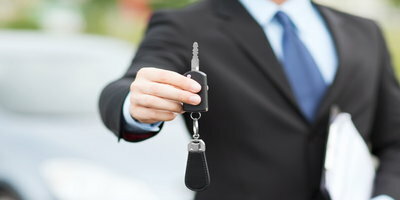 Because of these new opportunities, some drivers with credit issues may find that leasing is a great credit-building, budget-friendly option. But they have to get approved first. On TV and all over the internet, there are always great deals on car leases being advertised. "Sign and drive! Only $199 a month!" It almost sounds too good to be true. And if you have bad credit, it is too good to be true. These "top tier" leasing deals are only available to consumers with the best credit scores. Would-be lessees with good, but not great, credit may have no trouble getting approved for a lease. However, they may have to pay a little more than the advertised rates. In addition, consumers with fair credit who wants to lease may be able to qualify for, but they'll probably have to pay a higher interest rate (money factor) and possibly even have to come up with a security deposit. This is because of the tiered system that is used by leasing companies. As mentioned before, those with great credit get the top tier leasing deals, while rates get more expensive in the lower tiers. For someone with bad credit who falls into the lowest leasing tier, car leasing terms are typically much pricier. In addition, the money factor attached to a bad credit lease contract will most likely be much higher than average. It is also very likely that lessees with damaged credit will have to pay a security deposit. All of this comes on top of the most important factor of all, which is: Can a bad credit applicant even qualify for the lease in the first place? With many leasing companies, the answer will be an absolute and definite NO. But lenders like Kia Motors Finance are known to buy pretty deeply when it comes to subprime leasing. This means that they might be more likely to approve lessees with bad credit. For consumers with credit issues who are willing to lease an affordable vehicle, entering into a lease contract might be a good idea. That is, if they can qualify for a leasing program. 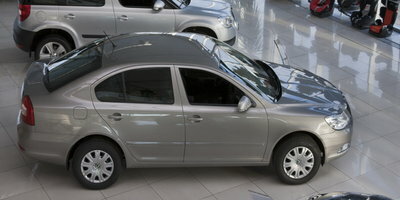 Again, lenders such as Kia Motors Finance may be willing to work with bad credit applicants. This is especially true if the manufacturer that the leasing company is associated with has a surplus of a certain vehicle model. Their monthly payments may be lower than those that are associated with traditional financing. This is because, with leased vehicles, the lessee only pays for the portion of the car they'll be using. Meaning that, in addition to interest charges, lease payments cover an amount equal to the value that the vehicle is expected to lose over the lease term. They shouldn't have to pay for much when it comes to maintenance and repairs. This is because leased cars are typically new and come with warranties. They'll have a chance to improve their credit. Just like auto loans, lease payments are reported to the major credit bureaus. So, as long as all payments are made on time, a lessee should see a boost in their credit rating. Of course, if a consumer with credit issues gets approved for a lease contract, they should be careful about how they manage this agreement. Any consumer who leases a vehicle should be careful about following the terms of their contract. And for lessees with bad credit, this is even more important. Unfortunately, leasing mistakes can be expensive. And for someone who's trying to get back on track with their credit, expensive mistakes are bad news. Mileage Matters. Most lease contracts only allow a certain number of miles. So, if the lessee puts too many miles on their car, they will be charged overage fees. Damage Matters. Yes, minor repairs and maintenance needs should be covered by the leased vehicle's warranty. However, the lessee will be charged fees for "excessive wear and tear." So, leased cars should always be treated carefully. GAP Insurance is Necessary. Guaranteed Asset Protection (GAP) insurance is included in most lease contracts. But lessees should double check and make sure that they have this coverage. If it is not included in the agreement, it is worth buying separately. Because, if the leased car is totaled in a collision, GAP insurance can save the lessee thousands of dollars. Finally, no matter how they choose to acquire a vehicle, consumers with bad credit should make credit repair their top priority. Once their credit is improved, many more financing and leasing options will be available to them. If you need a car right away and don't have time to shop around for a leasing opportunity, Auto Credit Express can help. Even if you have bad credit, we can match you with a local dealership that can work with unique credit situations. Our service is available for no charge and is obligation-free. Therefore, you have nothing to lose. Go ahead and fill out our simple and secure auto loan request to get started today.